Welcome to the new Shortshots Staggered; a revolution in blue proof exhaust technology. 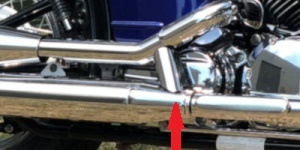 Vance & Hines delivers the short, fat, straight pipe look with twin slash cut ends. Dollar for dollar, this is an unbeatable system. Baffles, mounting hardware, and instructions are included for a hassle-free, perfect fit every time. 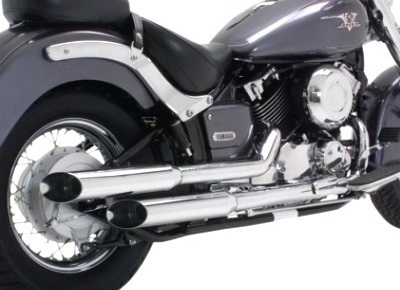 The Cruzer's are a premium quality system with a sleek look, and a powerful "big bike" sound specifically designed for the smaller displacement metric cruisers. 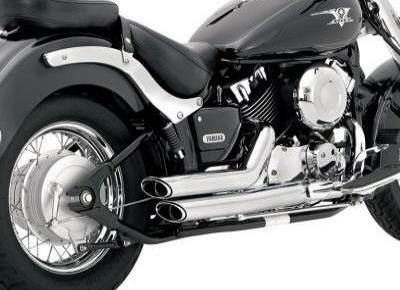 And since they are from Vance & Hines, you know they will fit right the first time, and they're made to last for miles. Baffles, mounting hardware and easy-to-understand instructions are included for a hassle-free, perfect fit every time. 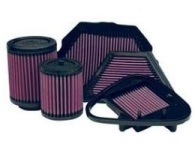 It is recommended that a proper jet kit be installed when changing an exhaust system on carbureted motorcycle. 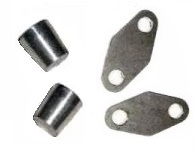 It is recommended a Power Commander be installed when changing exhaust on a fuel injected motorcycle. 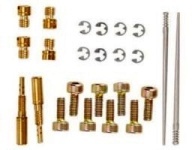 There is no warranty with regards to any discoloration (bluing) or ceramic coating burn off (depending on the style of pipe your are purchasing). Discoloration and ceramic coating burn off are caused by tuning characteristics, and not caused by defective manufacturing.